We work closely with our partners to enhance the services we offer our clients. Our clients are offered Indemnity protection with Composite Legal Expenses. They also have access to the services of Simpson and Marwick, Scotland’s leading law firm. We deliver psychometric tests through Innermetrix. These have effectively boosted the performance of teams and individuals. 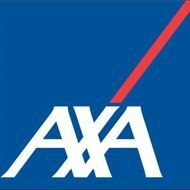 AXA was ranked the No.1 Global Insurance brand by Interbrand from 2009 to 2015. AXA’s management liability policy provides protection for your business and directors, officers and employees. They specialise in EPL – Employment Practices Liability, covering you and your business against claims from current and former employees alleging a breach of employment law. Innermetrix International is a research, development and certification company specializing in creating cutting edge tools, training, and processes for professional business consultants. Our tools have benefited more than 400,000 consultants around the world. Since 1994 HighNet have grown to become Scotland’s leading business telecommunications provider. From an initial staff count of just two people, HighNet now employs over 40 members of staff in a variety of specialist roles. HighNet provide access to a full product range from the UK’s largest telecoms suppliers, ensuring quality and value for money for businesses throughout the UK and abroad. Services are sold through 120+ selected Channel Partners across the country. HighNet have vast depth of experience, product range and skill, providing a service that is second to none. Over the last 20 years they have won numerous industry awards placing them at the leading edge of communications technology. Harper Stairmand Insurance Brokers launched in 2015, bringing a fresh, customer-focused, approach to the traditional world of insurance broking. Our founders have over 35 years experience in the industry and have worked for both independent and national brokers. We’ve taken the best bits of both worlds and blended them together to create a unique proposition. Our business is designed to be customer-centric. We are committed to understanding every company’s unique needs and then delivering solutions that meet them. Your business is unique, and we believe that your insurance cover should be too. 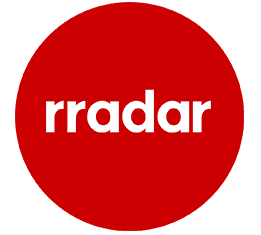 rradar is a law firm that embraces new technology and ideas to provide business customers with advice and support to help them deal with regulatory, compliance and corporate governance issues. rradar’s first-class employment team is highly experienced in all aspects of the law as it relates to workforce management. If businesses find themselves facing a tribunal, rradar will advise, support and accompany them to ensure that they’re not alone during such action. rradar advisers have a wide range of skills and expertise – they’re not just lawyers but also specialists and professionals including graphic designers, video specialists, IT experts and photographers, all working to provide an unrivalled support service to businesses. rradar believes in allowing businesses to focus on what they do best by taking care of the areas where they need the most support and help.